**IMMACULATE & STUNNING, CHANDLER HOME** - NOT ACTIVE ADULT - The minute you drive into this quiet, DESIRABLE NEIGHBORHOOD, you will be immediately delighted & impressed. From the RICH, WARM WOOD LAMINATE to the COOL, 20'' CERAMIC TILE, this gorgeous home is FRESH, light, BRIGHT and airy, with no details left unattended. This SINGLE STORY, grand 4 BD/3 BA home is tastefully & thoughtfully laid out w/GOURMET KITCHEN with GRANITE COUNTERTOPS and GAS COOKTOP, OPEN floorplan, PLANTATION SHUTTERS & handsome fixtures and finishes t/out the home. Once you reach the LARGE BACKYARD (with COVERED PATIO) that is ready for relaxation or any adventure, you won't want to leave! 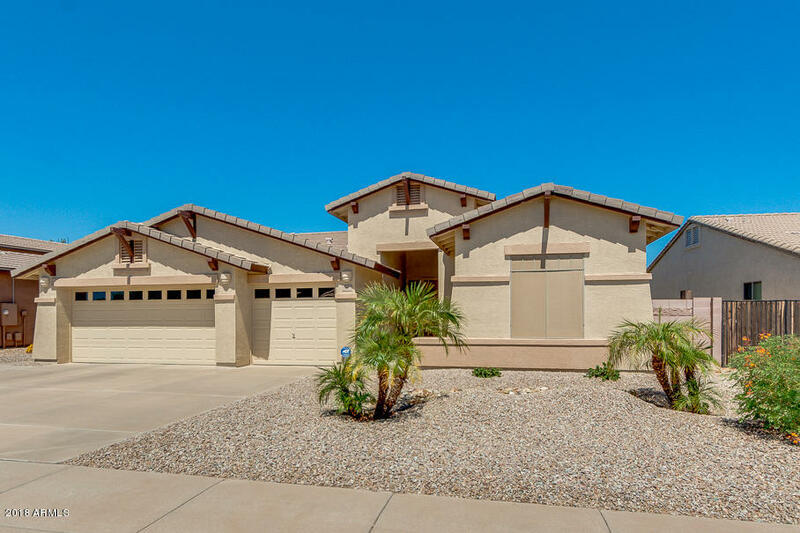 Visit this Chandler beauty today!